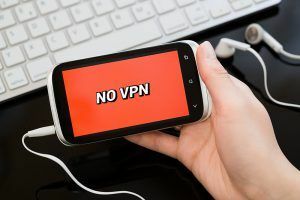 The Chinese government has started to ban VPN service providers which it deems as “unauthorized” in a series of new internet related crackdowns to stop people from getting lost in the wide world of the infinite web. The official note was published by the Chinese Ministry of Industry and Information Technology and according to this official note, it was communicated that the government had actually launched a new campaign against VPN service providers in order to crack down on the various internet platforms which the government recognized as “unauthorized”. According to official sources, the duration of this new campaign is expected to be around fourteen months. That is a full year and two months. Will such a campaign achieve its mission of destroying people’s choice of roaming the web wherever and whenever they want to? Well, only time will tell. Or maybe it won’t if the Chinese government bans the internet outright. Though that is unlikely to happen since China too has its own versions of Facebook, Google, and Wikipedia. And if the government decides to ban the internet altogether than those businesses will simply pack up their bags and leave for some place in Europe or US, well maybe not US because then all their money would get eaten up by the IRS. Would Ireland make a great choice? Well, all of that is hypothetical. Right now, it is the VPN service providers that need to survive this onslaught. Some of the readers might ask, why VPN service providers? Why not the Internet service providers who “provide” the means of communication with internet platforms that the Chinese government understands as illegal? Well, because it is through the use of VPN service providers that users are able to bypass the censorship mechanisms put in place by the Chinese government. And besides, no one has said that “other” companies apart from VPN service providers would be left alone. And to launch a campaign against VPN service providers, there has to be a wide scale order from a legitimate authority. That legitimate authority, in China, is the Chinese government much like the legitimate authority in America, in the coming days, will be the respected Supreme leader Donald Trump. Right now, we know that the Chinese government has approved the proposal to block VPN service providers who don’t follow the given directions. As of this moment, it seems like the internet being “the greatest invention of the twenty-first century” carries no meaning to the Chinese government. The Chinese government seems to think the opposite in fact. Or maybe it just wants to protect its people from being brainwashed by the titanic powerhouse that is the US media. Some think that the internet is not really the greatest invention of the 21-st century and is basically just a tool for the creators of the internet to spy on people. More like western people trying to spy on eastern-people (like in China and Russia) through, outwardly innocuous looking, online services such as Facebook, YouTube, and Twitter. Trump winning the presidential election in the United States of America is just one indication of the kind of power that the internet yields and how it can be used. At least that is what Hillary’s camp wants everyone to believe. 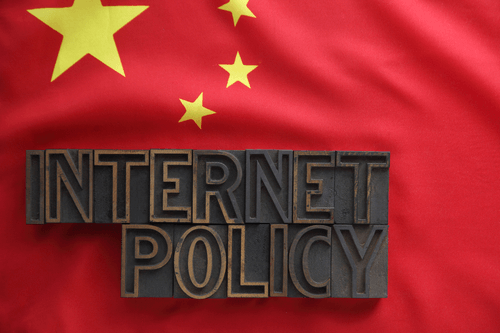 The Chinese government no longer wants people to do whatever they please on the internet. Trump may have had some help from Russia in the form of reputation-boosting, but fake, news stories, and likes, but in the end, it was the people who elected Trump, not Russia or any hacking machine. So it is quite understandable that the Chinese government wants to curtail the disruptive power of the internet. To control it, the best method right now, is to approve orders that allow government departments to outright ban VPN services that do not follow the official guidelines of operating in China. If we’re talking about developed nations, then China is perhaps the only country in the world where the government doesn’t like that people are allowed to have freedom in their profession and way of life. Or maybe, and there are a lot of maybes, it just wants to control any potential uprisings in areas that are prone to it like the areas in the province of Xinjiang (Uyghurs and co). Nevertheless, the aim of the Chinese government is to not destroy the use of the internet by its massive population but to limit the kind of experiences that the people can have while interacting with the online world. What Is Exactly This Thing Called Bad? Is it something bad for the USA or for China or for the Chinese people? Is it absolutely, without a shadow of a doubt, bad that the Chinese government wants to curtail the freedom of the internet provided to its people in order to not allow them to be exposed to online material that might spin their heads around about their situation in China when compared with some people in the west? There is no doubt that the Chinese government has used advanced technology to its benefit with the use of online filters and a literal army of trained personnel who scour the internet for potential problems. Not just any problems, but problems that could lead to the downfall of the Chinese government. And hence, people in China are regularly barred from viewing content that is deemed unfit by the Chinese government. Certain websites, which shouldn’t be named just now (maybe later in the article) routinely get banned and Chinese citizens are not allowed to engage in activities that are judged to be putting national interests at risk. Maybe the officials working in the Chinese government have taken the saying “with great power comes great responsibility” (a line made famous by Uncle Ben from a recent Spider-Man movie) a bit too literally in the sense that the Chinese government, and the internet, has great power and therefore, the Chinese government feels the need to show great responsibility by not allowing people to do whatever they want to, with it. Needless to say, this has resulted in a game of cat-and-mouse between the Chinese government and some section of the Chinese people. The battle is ongoing and there seems to be no early winner since the Chinese citizens have come up with clever ways in which they are able to regularly bypass “The Great Firewall of China” using not-so-advanced-anymore techniques and online services along with encryption technologies such as VPN services and Tor networks. Now, maybe because measures such as the use of VPN services and Tor networks have started to make a little bit of impact in terms of allowing people to view the content they want to view (which may or may not be in the people’s best interest), the Chinese government has decided to treat those services as well. Maybe the Chinese government is looking after its people’s interest after all. Through an official announcement from the Chinese Ministry of Industry and Information Technology. The government, rather kindly by its brutal standards against corruption and treason, explained to the country’s huge population (those who could read in any case) that advanced internet technologies along with online services were expanding at a rather fast pace and hence were not growing in an orderly fashion. The notice further continued and said that more regulation on part of the Chinese government was needed in order to make sure that everything progressed in an order. In other words, the Chinese government wanted to make sure that order was restored as far as who was running what is concerned. The statement from MIIT(Ministry of Industry and Information Technology) communicated that in recent years, as some of the advances made in the fields of information technology networks along with cloud computing and big data (other type of applications too) had flourished rather quickly, China’s online (in other words, the internet) network access services market was faced with several development possibilities. The statement further said that because of various signs which showed a certain disorder in the development of internet network access services, it was an urgent requirement that the government introduced some form of regulation norms. What Do The Chinese Government Really Mean? From the statements that have been made by the Chinese government, it should become clear to anyone what it wants. The Chinese government simply wants to standardize the market and strengthen network information security management, in its own words. To carry out those objectives, the Chinese government has made it crystal clear that it was in the process of embarking on an internet network access services clean-up which would be nationwide in its scale. As indicated earlier in the article as well, this “internet clean-up” campaign will start immediately and will finish sometime on March 31, 2018. The duration of the campaign might even increase because, who knows, if the Chinese government is not ab to meet its aims regarding the campaign, then what other option is there for the Chinese government? What Does MIIT’s Statement Mean As Far As End Users Are Concerned? Firstly, almost all internet services will be required to obtain some kind of approval letter from the Chinese government in order to operate or keep operating in the country. So in some ways, all internet services. Chinese citizens will have to come up with new ways in order to access their favorite websites. The biggest impact that this announcement could have, as far as the end-users are concerned, would be on VPN service providers because online services such as these VPN services are the only way for people to bust through government filters and other censorship measures in order to consume the content they want to consume. Not saying that it is particularly a bad thing but there need to be some less invasive ways of stopping people from consuming content that is deemed dangerous for the state. What Would Happen If Someone or Some Business Does Not Follow Proper Procedures in China? AS of now, we know that if an online service or an online business (that falls into the previously mentioned category) does not operate in the country with a corresponding telecommunications business license then that will be considered as an offense. The notice from MIIT clearly mentioned that internet data centers along with internet service providers and CDN enterprises would not be allowed to privately build communication transmission facilities. Furthermore, the aforementioned entities will also not use the network infrastructure along with IP addresses, bandwidth and other network access resources without a proper, corresponding telecommunications business license. So Is A License All One Needs In Order To Be Safe From The Chinese Government? If an online service or a business has managed to obtain the related business license but does not operate inside the licenses’ scope and exceeds its regional boundaries by operating any other internet services that are not permitted by the business license then that would also be considered as an offense. Moreover, it was also clarified that all internet entities were forbidden to perform actions as such sub-leasing certain functions or services to entities that do not have the required license. For the sake of comprehensiveness, it should also be mentioned that the Chinese government was indeed generous enough to include an entire section related to VPN services and other similar looking technologies in the official notice. Additionally, VPN services along with other security software applications are framed as cross-border issues by the published notice from the Chinese government. The notice from the Chinese government read that without the approval of the telecommunications administrations, any type of entity could not create its own or lease line and other channels to perform cross-border business activities. The report especially mentions Virtual Private Networks in the section in order to not have any confusions. Readers who would like to have a look at the note themselves, and can understand Chinese to some degree or know how to click that “blue” button in Chrome which offers to translate a given non-English page, can go to this link and read the official statement from the Chinese government. Does This Mean The End Of VPN Services In China? The only thing that can answer that for in certain terms, is time. 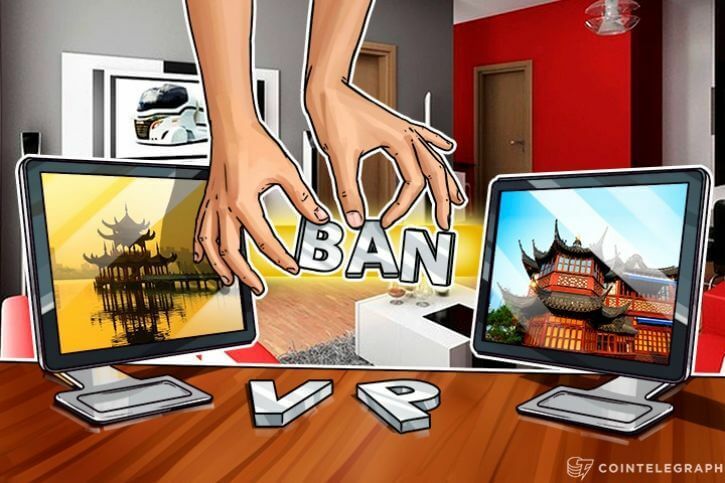 It is quite difficult to even predict the impact of such as a ban on VPN services or for that matter any other online service in the real world. Of course, in the short terms, the ban will cause quite of a bit of disruption since entities which would get affected by this ban would definitely exercise their right to protest or, more favorably, seek the license for their services in the country. The third option would be to simply go underground and operate their networks from there. A lot of places in the dark web cater to services that are deemed too unreliable by their respective official authorities. Censorship has always been perceived as damage by the online community and this case would be no different. 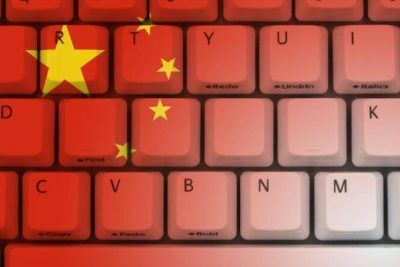 The more knowledgeable and determined online users will still manage to find new ways to access banned content (such as those on Google, Facebook, Twitter and even YouTube) from outside China if they are unable to do so within China. There are a lot of ways to do that and the best ones involve the use of a VPN service. You can read about the best VPN services here. However, we recommend IPVanish VPN service as it is the top rated VPN service on our site. You can read its full review here.